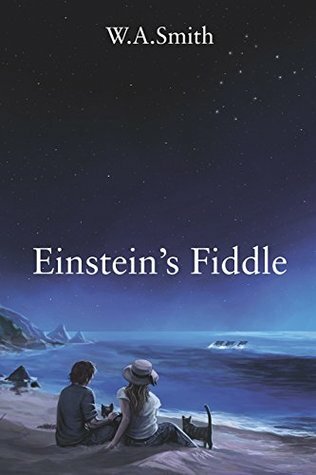 Einstein’s Fiddle begins with a man by the name of Davy Calhoun doing the unthinkable act of abandoning his child on a doorstep of a stranger’s home. You will then be transported to the past where you learn the events that have occurred to lead Davy to this very moment. Follow a journey of a lost and broken man that borders reality and dreams and flits between the past and present. Teenage romance, twisted events and a road trip will take you through the moments Davy Calhoun’s entire world turned upside down. What could have possibly possessed a man to make such an extreme decision? Einstein’s Fiddle, written by W.A. Smith, will take you through the life of a man full of despair. Broken hearts, broken dreams and a broken future sets the tones of Davy Calhoun’s life. Loyal friendships, complicated relationships and family secrets will take the reader on an epic journey of love, life and redemption. The plot would sometimes take an emotional twist as you delve deeper into Davy’s life. Throughout the novel, you meet various people of Davy’s past, and the characters come with their own set of perks and lurks. The folk throughout the story range from your neighbours, to best friends and long lost lovers and each person will help shape Davy into the man that he is. Puppy fondness, pure infatuation, sweaty lust and unrequited yearning are just some of the phrases W.A. Smith uses to lure the audience into an addictive trance where you will be unable to turn away until you are satisfied you know what happens next. Follow along as Davy stumbles from childhood to manhood and the emotional confrontation that shapes his personality and life choices. Throughout Einstein’s Fiddle, Smith flips between the past and the present and although the transition is sometimes confusing, it provides a deep understanding of Davy’s character, his family life, friendships and first loves. With the first events feeling so shocking, I felt drawn to find out exactly why he could have made the terrible decisions that he does. 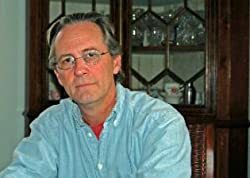 Smith’s style of writing is classy and descriptive, providing a template for beautiful imagery that at times makes you feel as though you are watching a movie rather than reading a book. I almost felt like the novel could have had its own soundtrack and theme song! The reader will be pleasantly lost in the words and you will feel an instant attraction to Davy as his character’s progression takes twists and turns throughout the timeline of his life. Davy’s thoughts are often filled with twisted memories that are masked by the sting of liquor and unfortunate events will leave you feeling empathetic to his character. If you are looking for a novel that will make you laugh, cry and feel deeply, then this is the novel for you. I would recommend this for those looking for a well-written novel with relatable and heartwarming characters. I wouldn’t be surprised if we see W.A Smith up there with the big named authors of the future and look forward to reading his other works.